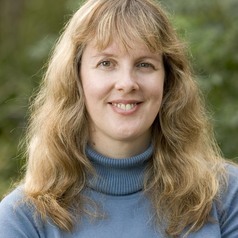 Rebecca was awarded her PhD in 2008 from the University of Sydney. Her research interests lie in the area of organisational behaviour, including team dynamics, leadership and social identity in organisations. She is particularly interested in healthcare team dynamics and leadership in the health sector. As an early career researcher, Rebecca has had numerous articles accepted for publication in internationally recognised journals and her research projects in organisational behaviour have generated over 50 peer-reviewed publications. She is a professional member of the European Association of Work and Organisational Psychology and the US Society for Industrial and Organizational Psychology. Rebecca works with a number of national and international collaborators including Hunter New England Health in New South Wales, Australia and the Royal College of Surgeons Institute of Leadership in Ireland. In addition to her academic experience, Dr Mitchell's worked in the Australian and Irish public sector, as a senior policy advisor. She has worked as State representative on several Council of Australian Government (COAG) working parties and has contributed to the development of key health, community and social services policy at a state and national level.